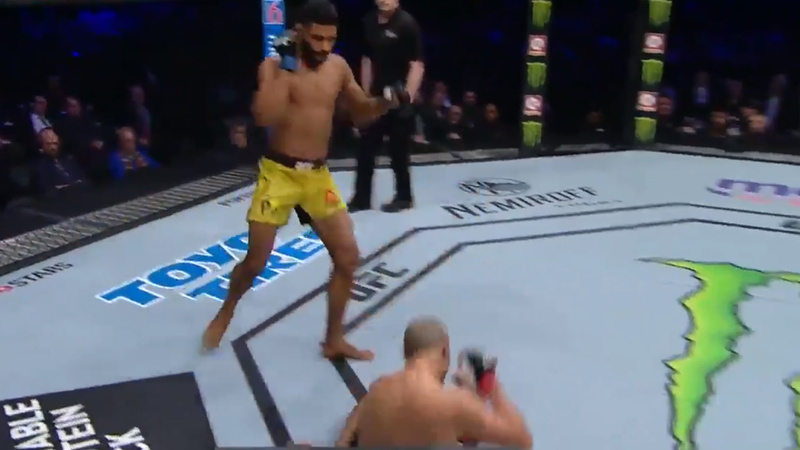 A former Titan FC champion, Dhiego Lima snaps his three-fight losing skid tonight (Sat., Dec. 8, 2018) after knocking out Canadian veteran Chad Laprise with one punch in the first round at UFC 231 from inside Scotiabank Arena in Toronto, Ontario, Canada. As soon the fight begins, Lima (13-7) and Laprise (13-4) circling the cage. Little over 90 seconds into the bout, Lima landed a brutal left hook to Laprise’s jaw that sent him crashing on the canvas. Lima could have landed one or two more punches, but he opted to walk off. Before this win, Lima suffered three losses in a row by the hands of Yushin Okami, Jesse Taylor, and Jason Jackson. With this win Brazilian back into the win column which he needed so desperately to save his UFC career. While Laprise now riding on two consecutive loss.